Building skills to learn how to write and having fun while doing it! 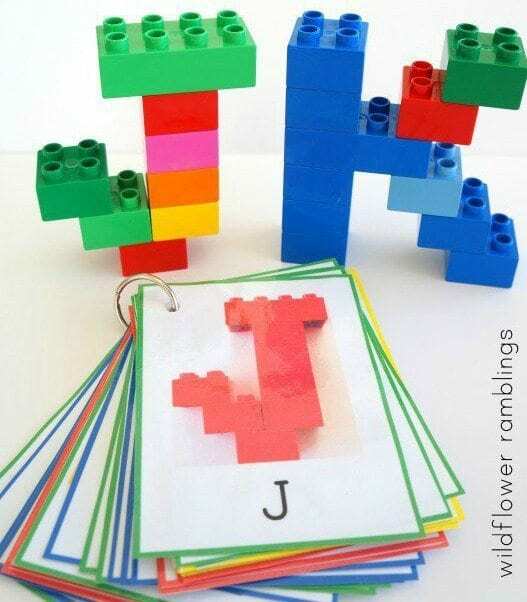 Pre-writing activities for preschoolers not only help our youngest learners learn the shape and structure of the letters in the alphabet, they serve a number of other functions as well. 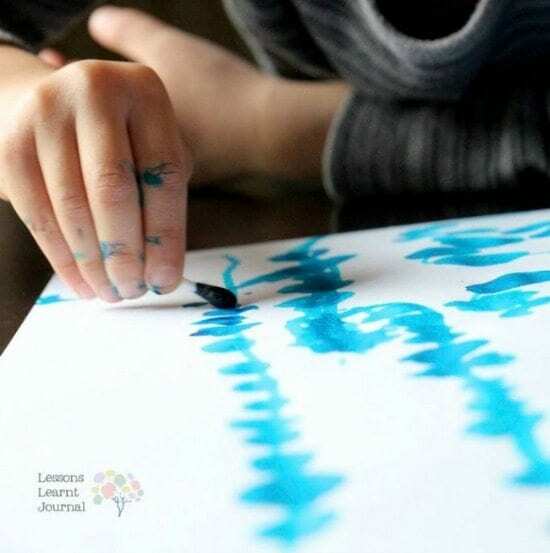 According to education blogger Lisette, from Where Imagination Grows, pre-writing practice teaches directionality in writing, encourages fine muscle development and coordination, and also helps students process sensory information critical to the writing process. We found 15 super fun, easy-to-make activities that your preschoolers will love! 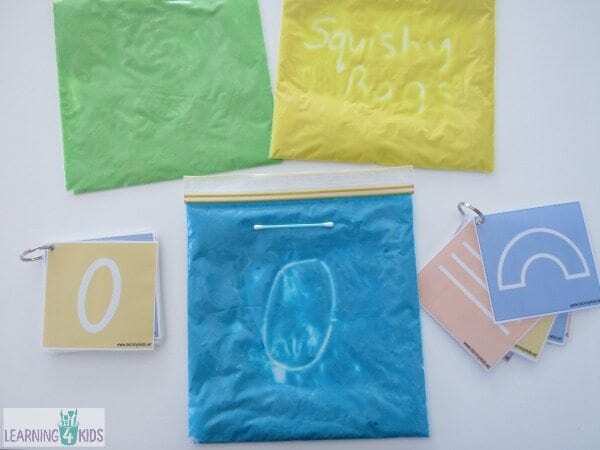 All you need to make these awesome sensory bags is resealable zipper storage bags, flour, water, and food coloring. (For complete instructions, click on the image.) 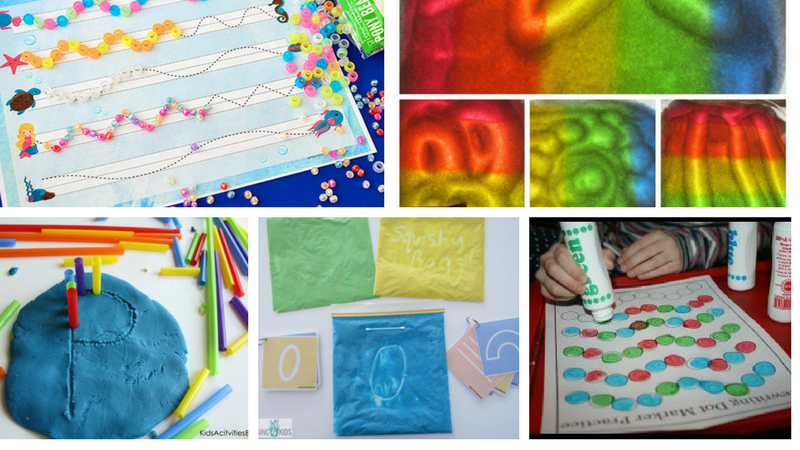 Kids can use cotton swabs or their finger to draw shapes, lines, and letters on the bag. What a great way to recycle all that leftover Bubble Wrap! 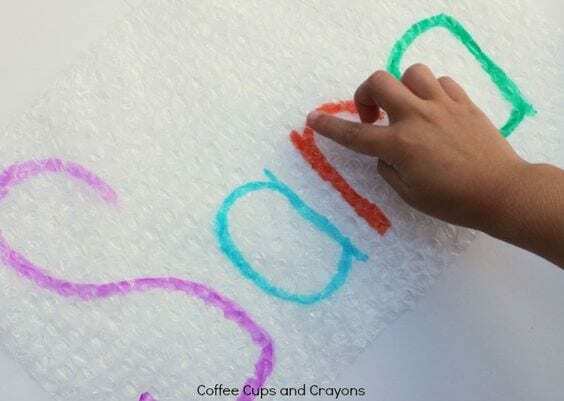 Simply write letters on sheets of Bubble Wrap with a Sharpie and let kids pop their way to letter recognition. Kids can’t resist the sensory lure of Play-Doh! For this activity, kids can roll small balls of dough into long snakes and form letters by bending and joining the snakes together. 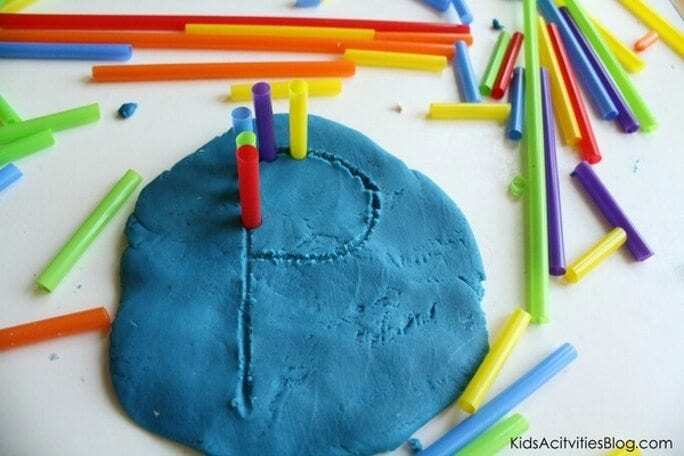 Flatten out a medium-size piece of Play-Doh on a flat surface. 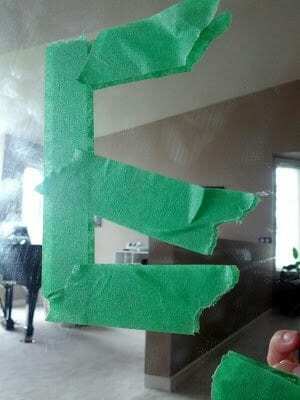 Then use a sharp object to draw a letter on the flattened area. (Make sure that the letter is large enough to be easily recognizable when filled with straws.) Cut plastic straws into one-inch segments. Let kids “trace” the letters with the colorful straw segments. Students use dot markers to practice the mechanics of writing and get used to the angles and curves of letters. Click on the image above to download 12 free pages of pre-writing dot marker worksheets. This is a fun activity to help kids work on their fine motor skills and get the hang of the all-important pencil grip. For free printable worksheets to use with cotton swabs, click here. Blocks! Young kids can’t get enough of building and creating with them. Put their creative energy to good work with these free printable letter cards. This classic activity is a great starting place for pre-writers. All you need is a tray and a can of shaving cream. Pre-writing lines are important building blocks for any preschooler to master before learning letter formations. 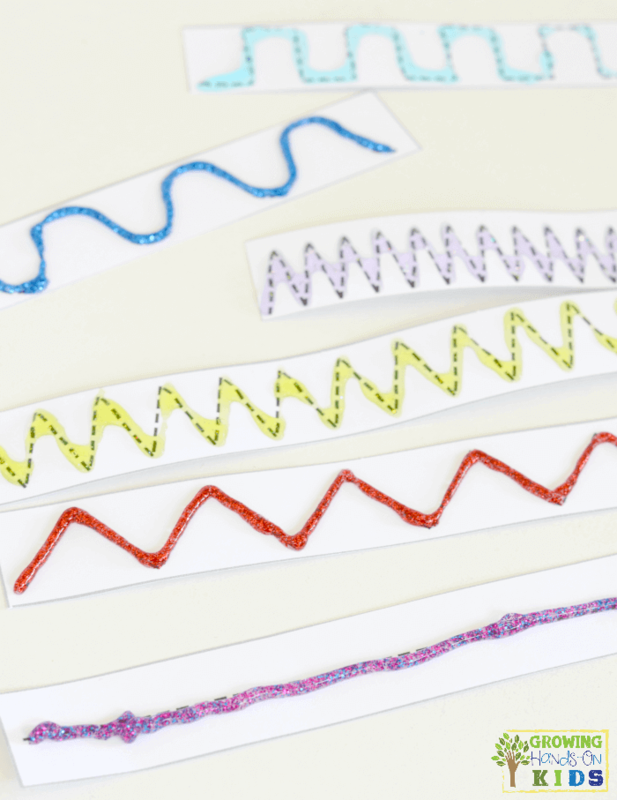 Click here to download this glitter glue pre-writing line practice for preschoolers activity. 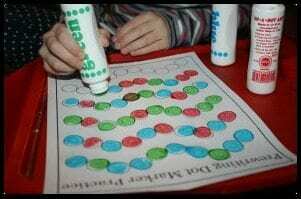 Just like the one above, this activity builds fine motor skills that your young students need to begin writing. 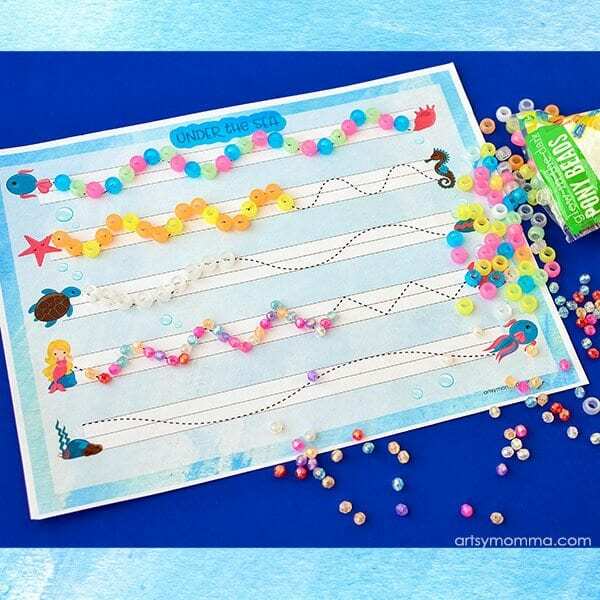 Instead of using glitter glue, though, students use inexpensive pony beads (found at any craft store) to follow the lines. 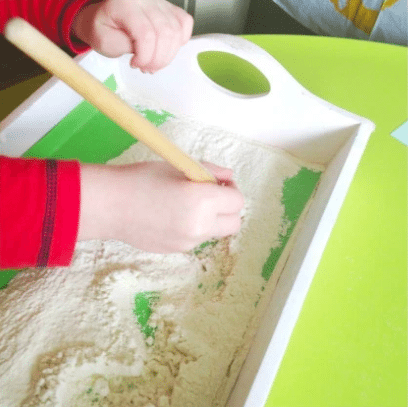 One of the simplest activities to put together for your students to practice pre-writing is a sand tray. 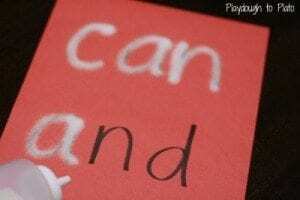 Kids can use their fingers or an unsharpened pencil to practice writing. As an alternative to sand, you can fill your tray with salt, flour, cornmeal, or rice. 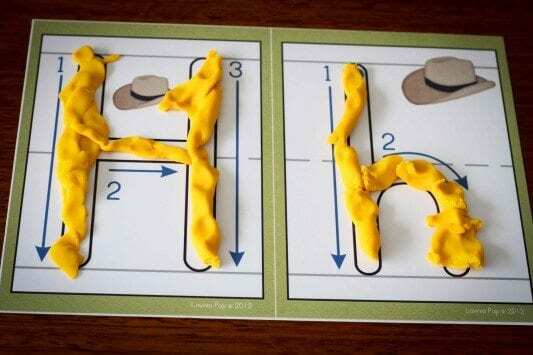 Fill a plastic squeeze bottle with salt or sugar and let students trace letters on cards. This resource is so simple to make, and kids love it! 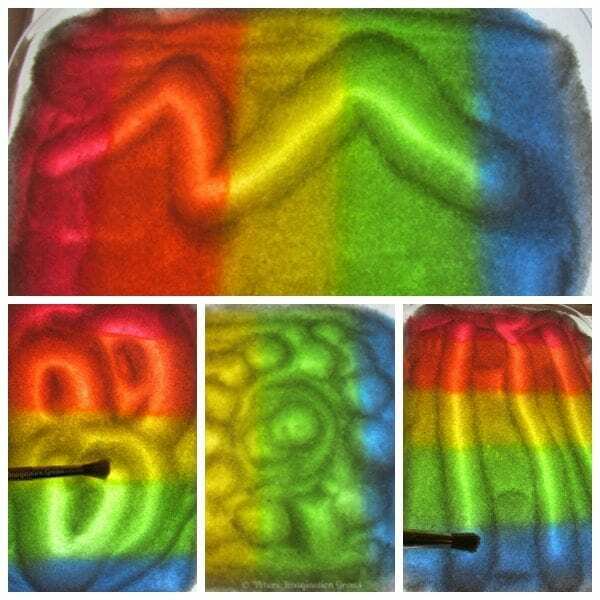 Simply tape colored tissue paper in a rainbow pattern to the bottom of a clear plastic tray. Fill it with sand, and as the kids trace lines and letters, the colors below are revealed. The image above shows the tray on top of a light table, which adds another dimension of fun to the activity! 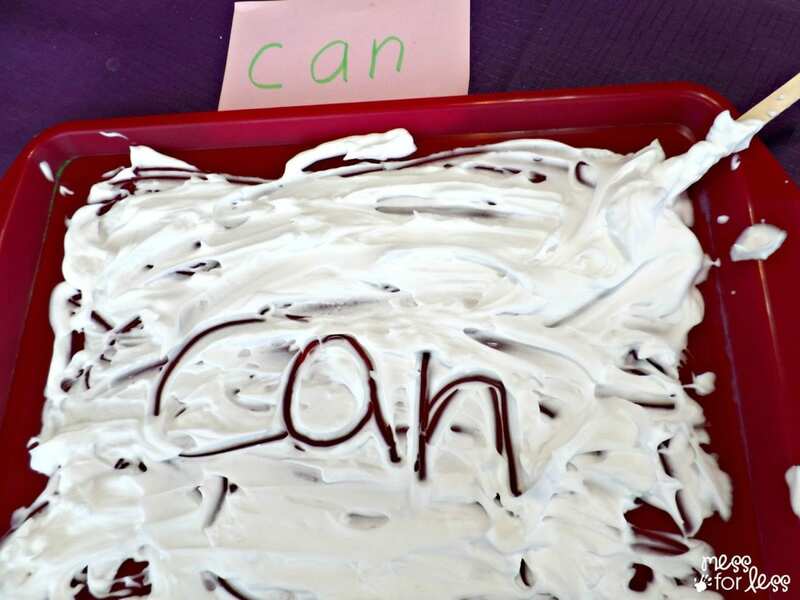 A roll of colored masking tape and a clear surface make this a fun center activity at writing time. 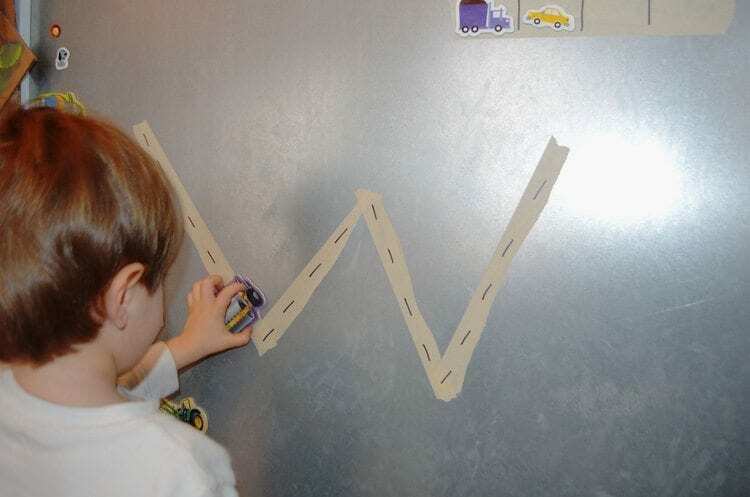 Tape letters onto a magnet board and let your little ones trace them with magnets. In the example above, the teacher made the letters into roads and the students drove their car magnets along them. What are your favorite pre-writing activities for preschoolers? Come and share in our WeAreTeachers HELPLINE group on Facebook.